SKU: LYAMUNSIGNED1. Categories: Authors, Books, Richard Matheson. In October 2012, Richard Matheson found a journal he started in 1993, in which he wrote a page a day on and off for several years. He eventually put it away, adding to it again from 2003-2005. This journal, MUSINGS, is a fascinating look into Richard Matheson. We may have thought his 2012 novel, GENERATIONS, was his most autobiographical writing, yet it is MUSINGS that is the closest to being a Matheson autobiography. He discusses his youth, college years, wartime experiences, how he feels about his short stories and novels, and much more. It’s written in a conversational tone, with self-deprecating humor and keen insight. Coming in at only ninety-three pages, we couldn’t publish the journal as a stand-alone. Fortunately, the journal itself provided an answer. In MUSINGS Matheson refers to an unpublished novel he had written around the same time he wrote HUNGER AND THIRST (as a matter of fact the main character has the same name as the protagonist in HUNGER AND THIRST). He found the novel, LEAVE YESTERDAY ALONE, which adds even more autobiographical material. 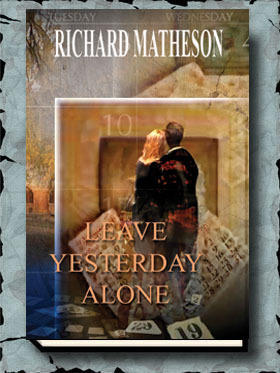 Matheson wrote LEAVE YESTERDAY ALONEÂ during his college years, and it deals with his experiences at college, in novel form, in the same fashion that much of BEARDLESS WARRIORSÂ deals with his war experience in the form of fiction. 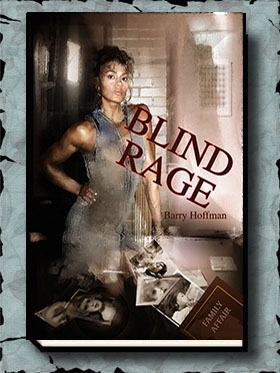 Those who enjoyed HUNGER AND THIRST will find LEAVE YESTERDAY ALONE equally enthralling. And, as MUSINGSexplains that both novels are autobiographical – Matheson opening himself up as he’s never done before. Gauntlet’s edition of LEAVE YESTERDAY ALONE and MUSINGSwill be the only versions of the novel and journal to see publication.